Groundbaits are an highly effective feed in coarse fishing, but if you’ve never used them before, the variety and baits and the intricacies of mixing them and applying them can be intimidating. However, the reality is they are a simple but deadly bait to have at your disposal. All groundbaits are essentially just a blend of dryed and ground up feed particles. 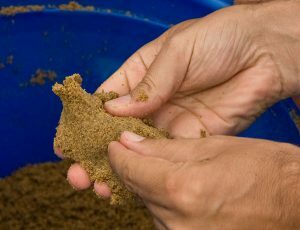 Once on the bank you can apply a small amount of water to this powder, firstly to ensure that the particles sink, but also to allow you to create compacted balls of feed (or fill a swimfeeder), which means you can then deposit them accurately to where you want to feed. 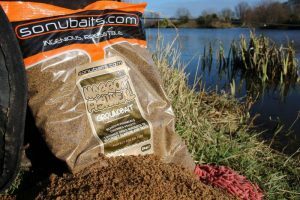 One of the great things about groundbait is that it is highly attractive to fish, but the fish will struggle to fill themselves up on the small particles. Therefore, you can draw lots of fish into your swim and hold them there for a long time, while they work themselves into a frenzy trying to feed on the groundbait. Which groundbait should I use? 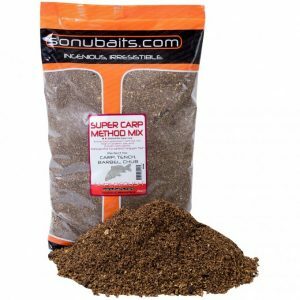 Is the groundbait a fishmeal base or a cereal base? Fishmeal is a fantastic attractor for larger fish such as carp and tench, the pungent smell and high protein value of these baits really appeal to these fish, whilst small species such as roach and rudd are far less keen on them. On the other hand, traditional cereal-based groundbaits are great for silverfish species such as roach and rudd, these baits often have a much sweeter smell and taste which silverfish species really home in on. What is the texture of the groundbait? When you compare bags of groundbait, you will notice that some mixes have a very fine, almost dust-like consistency, while other mixes contain quite large particles. As a general rule, coarse textured groundbaits are best saved for targeting bigger fish in the summer months, and the colder the weather gets the finer your mix should be. Cold fish don’t eat very much, and a few balls of groundbait full of bigger particles will allow the fish to soon fill themselves up. This is probably THE most important part of using groundbait. All too often anglers try to rush mixing their bait and before they know it, it has been ruined. 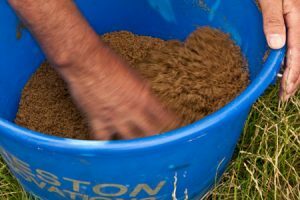 To begin with, empty your dry groundbait into a large container such as a bucket. Then, take a small container (a maggot box is perfect) and fill this with lake water. 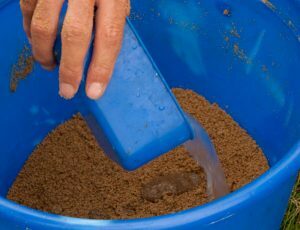 Begin adding water to the mix a dash at a time, whilst doing this you should be constantly mixing and turning over the bait with your hands, making sure you don’t leave any dry groundbait in the bottom of the bucket. As you continue mixing, all the dry particles will quickly absorb the water and become damp. As a general rule a kilo of groundbait will take on around a pint of water, but the best thing to do is aim for a consistency that allows you to form a ball with one squeeze, but then easily breaks down again if you rub it through your hands. Once you have reached this stage put the bucket to one side for around twenty minutes, and you return to it you will probably find that the mix seems to have dried out, this is perfectly normal as the particles have just continued to absorb more of the water. At this point you may have to add a little more water again whilst agitating the mix, until it comes back to the correct consistency. 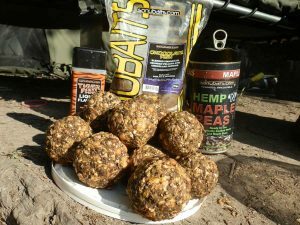 There are two main ways to feed your groundbait; the first I forming it into balls. which you can then either throw to you chosen spot or deposit using a pole cup. The second way is to fish with a swimfeeder; either an open-ended feeder or what is known as a method feeder. Both types of feeder are effective and as long as you continue to cast regularly & accurately to build up a bed of bait for the fish to feed over. With both balling in and feeder fishing, larger particles such a sweetcorn, hempseed and pellets can be added to the groundbait. This prevents the fish getting preoccupied on the fine groundbait particles and gets them used to picking up larger food items, just like the bait you will be using on you hook. As with all types of feeding, remember the old saying “you can always put more in, but you cant take it out. During the winter a small golf ball of groundbait might be enough bait to get several bites over, and once bites tail off you can feed another small ball and start the process again. During the summer months, laying down an initial bombardment of bait (maybe half a dozen larger balls) can be a highly effective tactic, as it will draw feeding fish into your swim and allow them to graze over the area for long periods.